We are searchlights, we can see in the dark. We are rockets, pointing up at the stars. We are billions of beautiful hearts. And you sold us down the river too far. What about us? What about all the times you said you had the answers? What about us? What about all the broken happy ever afters. What about us? What about all the plans that ended in disaster? What about love? What about trust? What about us? We are problems that want to be solved. We are children that need to be loved. We were willing, we came when you called. But man you fooled us, enough is enough. What about us? What about all the times you said you had the answers? What about us? What about all the broken happy ever afters. What about us? What about all the plans that ended in disaster? What about love? What about trust? What about us? What about us? What about all the plans that ended in disaster? What about love? What about trust? What about us? Sticks and stones they may break these bones. But then I’ll be ready, are you ready? It’s the start of us, waking up come on. Are you ready? I’ll be ready. I don’t want control, I want to let go. Are you ready? I’ll be ready. And now it’s time to let them know. Are you ready? What about us? What about all the times you said you had the answers? What about us? What about all the broken happy ever afters. What about us? What about all the plans that ended in disaster? What about love? What about trust? What about us? What about us? What about us? What about us? What about us? What about us? What about us? Nós somos holofotes, podemos ver no escuro. Somos foguetes, apontando para as estrelas. Nós somos bilhões de belos corações. E você nos traiu e foi ruim demais. E quanto a nós? E quanto as vezes em que você disse ter as respostas? E quanto a nós? 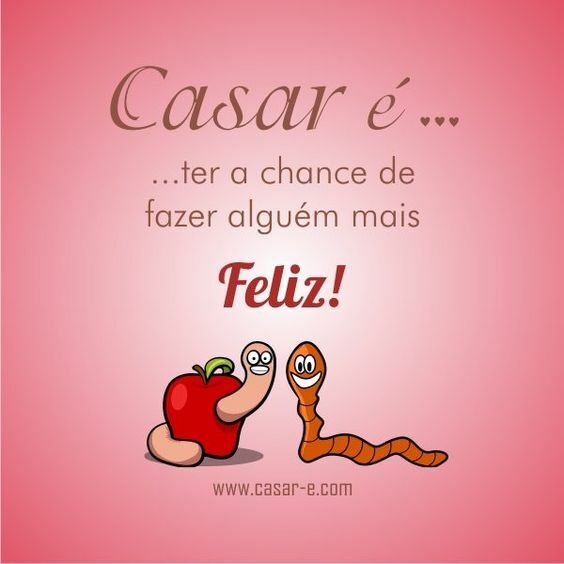 E quanto a todos os felizes para sempre quebrados. E quanto a nós? E quanto a todos os planos que acabaram em desastres? E o amor? E a confiança? E quanto a nós? Somos problemas que querem ser resolvidos. Somos crianças que precisam ser amadas. Estávamos dispostos, nós viemos quando você chamou. Mas, cara, você nos enganou, e agora já deu. E quanto a nós? E quanto as vezes em que você disse ter as respostas? E quanto a nós? E quanto a todos os felizes para sempre quebrados. E quanto a nós? E quanto a todos os planos que acabaram em desastres? E o amor? E a confiança? E quanto a nós? E quanto a nós? E quanto a todos os planos que acabaram em desastres? 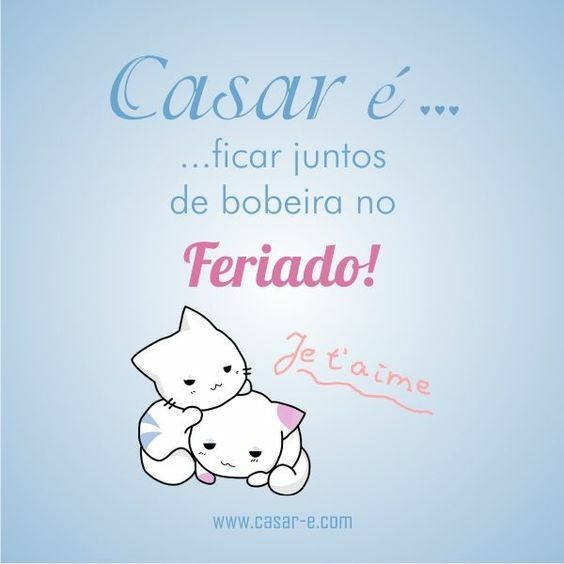 E quanto ao amor? E quanto à confiança? E quanto a nós? 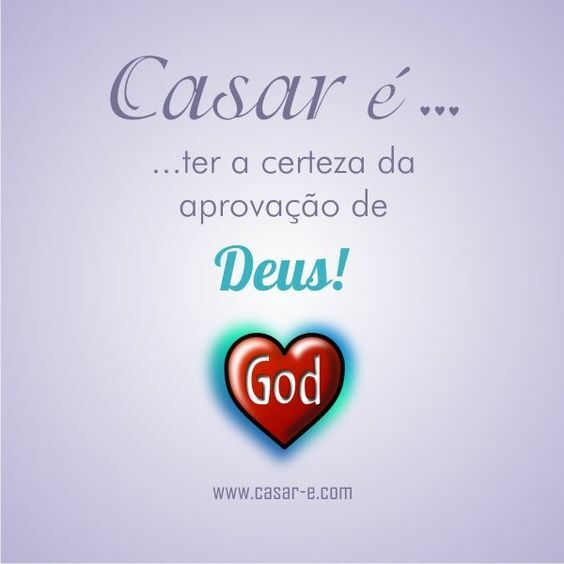 Pedras e paus podem nos ferir. Mas então vou estar pronta, vocês estão prontos? É o começo de nós, estamos acordando, venha. Vocês estão prontos? Eu estarei pronta. Pois eu não quero controle, quero desapegar. Vocês estão prontos? Eu estarei pronta. E agora é hora de informá-los. Vocês estão prontos? E quanto a nós? E quanto as vezes em que você disse ter as respostas? E quanto a nós? E quanto a todos os felizes para sempre quebrados. E quanto a nós? E quanto a todos os planos que acabaram em desastres? E o amor? E a confiança? E quanto a nós? E quanto a nós? E quanto a nós? E quanto a nós? E quanto a nós? E quanto a nós? E quanto a nós? I don’t like your little games. Don’t like your tilted stage. The role you made me play. Of the fool. No, I don’t like you. I don’t like your perfect crime. How you laugh when you lie. You said the gun was mine. Isn’t cool. No, I don’t like you. Ooh. But I got smarter. I got harder. In the nick of time. Honey I rose up from the dead. I do it all the time. I got a list of names. And yours is in red, underlined. I check it once. Then I check it twice. Ooh. Ooh look what you made me do. Look what you made me do. Look what you just made me do. Look what you just made me do. Ooh look what you made me do. Look what you made me do. Look what you just made me do. Look what you just made me do. I don’t like your kingdom keys. They once belonged to me. You asked me for a place to sleep. Locked me out. And threw a feast (What?). The world moves on. Another day. Another drama drama. But not for me. Not for me. All I think about is karma. And then the world moves on. But one thing is for sure. Maybe I got mine. But you’ll all get yours. But I got smarter. I got harder. In the nick of time. Honey I rose up from the dead. I do it all the time. I got a list of names. And yours is in red, underlined. I check it once. Then I check it twice. Ooh. Ooh look what you made me do. Look what you made me do. Look what you just made me do. Look what you just made me do. Ooh look what you made me do. Look what you made me do. Look what you just made me do. Look what you just made me do. I don’t trust nobody. And nobody trusts me. I’ll be the actress. Starring in your bad dreams. I don’t trust nobody. And nobody trusts me. I’ll be the actress. Starring in your bad dreams. I don’t trust nobody. And nobody trusts me. I’ll be the actress. Starring in your bad dreams. I don’t trust nobody. And nobody trusts me. I’ll be the actress. Starring in your bad dreams. “I’m sorry, the old Taylor. can’t come to the phone right now. Why? Oh, ‘cause she’s dead. ” Ooh look what you made me do. Look what you made me do. Look what you just made me do. Look what you just made me do. Ooh look what you made me do. Look what you made me do. Look what you just made me do. Look what you just made me do. Ooh look what you made me do. Look what you made me do. Look what you just made me do. Look what you just made me do. Ooh look what you made me do. Look what you made me do. Look what you just made me do. Look what you just made me do. Eu não gosto dos seus joguinhos. Não gosto do seu palco inclinado. Do papel que você me fez passar. De idiota. Não, eu não gosto de você. Eu não gosto do seu crime perfeito. De como você ri quando mente. Você disse que a arma era minha. Não é legal. Não, eu não gosto de você. Ooh. Mas eu fiquei mais esperta. Fiquei mais dura. Com o passar do tempo. Querido, eu me levantei dos mortos. Eu faço isso o tempo todo. Eu tenho uma lista de nomes. E o seu está em vermelho, sublinhado. Eu checo uma vez. Então checo duas. Ooh. Ooh olha só o que você me fez fazer. Olha só o que você me fez fazer. Olha só o que você me fez fazer. Olha só o que você me fez fazer. Ooh olha só o que você me fez fazer. Olha só o que você me fez fazer. Olha só o que você me fez fazer. Olha só o que você me fez fazer. Eu não gosto das chaves do seu reino. Elas já pertenceram a mim. Você me pediu um lugar para dormir. Me trancou pra fora. E deu um banquete (O quê?). O mundo segue em frente. Outro dia. Outro drama drama. Mas não pra mim. Não pra mim. Tudo o que eu penso sobre é karma. E então o mundo segue em frente. Mas uma coisa é certa. Talvez eu tenha o meu. Mas vocês todos terão os seus. Mas eu fiquei mais esperta. Fiquei mais dura. Com o passar do tempo. Querido, eu me levantei dos mortos. Eu faço isso o tempo todo. Eu tenho uma lista de nomes. E o seu está em vermelho, sublinhado. Eu checo uma vez. Então checo duas. Ooh. Ooh olha só o que você me fez fazer. Olha só o que você me fez fazer. Olha só o que você me fez fazer. Olha só o que você me fez fazer. Ooh olha só o que você me fez fazer. Olha só o que você me fez fazer. Olha só o que você me fez fazer. Olha só o que você me fez fazer. Eu não confio em ninguém. E ninguém confia em mim. Eu serei a atriz. Estrelando em seus pesadelos. Eu não confio em ninguém. E ninguém confia em mim. Eu serei a atriz. Estrelando em seus pesadelos. Eu não confio em ninguém. E ninguém confia em mim. Eu serei a atriz. Estrelando em seus pesadelos. Eu não confio em ninguém. E ninguém confia em mim. Eu serei a atriz. Estrelando em seus pesadelos. “Sinto muito, a antiga Taylor. não pode atender o telefone agora. Por quê? Oh, porque ela está morta. ” Ooh olha só o que você me fez fazer. Olha só o que você me fez fazer. Olha só o que você me fez fazer. Olha só o que você me fez fazer. Ooh olha só o que você me fez fazer. Olha só o que você me fez fazer. Olha só o que você me fez fazer. Olha só o que você me fez fazer. Ooh olha só o que você me fez fazer. Olha só o que você me fez fazer. Olha só o que você me fez fazer. Olha só o que você me fez fazer. Ooh olha só o que você me fez fazer. Olha só o que você me fez fazer. Olha só o que você me fez fazer. Olha só o que você me fez fazer. This ain’t for the best. My reputation’s never been worse, so. You must like me for me. We can’t make. Any promises now, can we, babe? But you can make me a drink. Dive bar on the east side. Where you at? Phone lights up my nightstand. In the black. Come here, you can meet me. In the back. Dark jeans and your Nikes. Look at you. Oh damn, never seen that color blue. Just think of. the fun things we could do. ‘Cause I like you. This ain’t for the best. My reputation’s never been worse, so. You must like me for me. Yeah, I want you. We can’t make. Any promises now, can we, babe? But you can make me a drink. Is it cool that I said all that? Is it chill that you’re in my head? ‘Cause I know that it’s delicate. (delicate). Is it cool that I said all that? Is it too soon to do this yet? ‘Cause I know that it’s delicate. Isn’t it? Isn’t it? Isn’t it? Isn’t it? Isn’t it? Isn’t it? Isn’t it? Isn’t it? Delicate. Third floor on the west side, me and you. Handsome, you’re a mansion with a view. Do the girls back home. touch you like I do? Long night, with your hands up in my hair. Echoes of your footsteps on the stairs. Stay here, honey. I don’t wanna share. ‘Cause I like you. This ain’t for the best. My reputation’s never been worse, so. You must like me for me. Yeah, I want you. We can’t make. Any promises now, can we, babe? But you can make me a drink. Is it cool that I said all that? Is it chill that you’re in my head? ‘Cause I know that it’s delicate (delicate). Is it cool that I said all that? Is it too soon to do this yet? ‘Cause I know that it’s delicate. Isn’t it? Isn’t it? Isn’t it? Isn’t it? Isn’t it? Isn’t it? Isn’t it? Isn’t it? Delicate. Sometimes I wonder when you sleep. Are you ever dreaming of me? Sometimes when I look into your eyes. I pretend you’re mine, all the damn time. ‘Cause I like you. Is it cool that I said all that? Is it chill that you’re in my head? ‘Cause I know that it’s delicate (delicate). Yeah, I want you. Is it cool that I said all that? Is it too soon to do this yet? ‘Cause I know that it’s delicate (delicate). ‘Cause I like you. Is it cool that I said all that? Isn’t it? Isn’t it? Isn’t it? Isn’t it? Is it chill that you’re in my head? Isn’t it? Isn’t it? Isn’t it? Isn’t it? Cause I know that it’s delicate. (delicate). Isn’t it? Isn’t it? Isn’t it? Isn’t it? Is it cool that I said all that? Isn’t it? Isn’t it? Isn’t it? Isn’t it? Is it too soon to do this yet? Isn’t it? Isn’t it? Isn’t it? Isn’t it? ‘Cause I know that it’s delicate. Delicate. Isso não é para o melhor. Minha reputação nunca esteve pior, então. Você deve gostar de mim por quem eu sou. Não podemos fazer. Nenhuma promessa agora, podemos, querido? Mas você pode me preparar um drink. Bar no lado leste. Onde você está? O telefone acende em minha mesa de cabeceira. No escuro. Venha aqui, você pode me encontrar. Nos fundos. Jeans escuro e seu Nike. Olhe para você. Oh, caramba, nunca vi essa cor azul. Apenas pense. Nas coisas divertidas que podemos fazer. Porque eu gosto de você. Isso não é para o melhor. Minha reputação nunca esteve pior, então. Você deve gostar de mim por quem eu sou. Sim, eu quero você. Não podemos fazer. Nenhuma promessa agora, podemos, querido? Mas você pode me preparar um drink. É legal que eu tenha dito tudo isso? É bacana que você esteja na minha cabeça? Porque eu sei que é delicado. (delicado). É legal que eu tenha dito tudo isso? É muito cedo para fazer isso ainda? Porque eu sei que é delicado. Não é? Não é? Não é? Não é? Não é? Não é? Não é? Não é? Delicado. Terceiro andar no lado oeste, eu e você. Lindo, você é uma mansão com vista. As garotas de onde você veio. te tocam como eu? Noite longa, com as mãos no meu cabelo. Ecos de seus passos na escada. Fique aqui, querido. não quero compartilhar. Porque eu gosto de você. Isso não é para o melhor. Minha reputação nunca esteve pior, então. Você deve gostar de mim por quem eu sou. Sim, eu quero você. Não podemos fazer. Nenhuma promessa agora, podemos, querido? Mas você pode me preparar um drink. É legal que eu tenha dito tudo isso? É bacana que você esteja na minha cabeça? Porque eu sei que é delicado (delicado). É legal que eu tenha dito tudo isso? É muito cedo para fazer isso ainda? Porque eu sei que é delicado. Não é? Não é? Não é? Não é? Não é? Não é? Não é? Não é? Delicado. Às vezes eu me pergunto, quando você dorme. Você já sonhou comigo? Às vezes, quando olho nos seus olhos. Eu finjo que você é meu, o tempo todo. Porque eu gosto de você. É legal que eu tenha dito tudo isso? É bacana que você esteja na minha cabeça? Porque eu sei que é delicado (delicado). Sim, eu quero você. É legal que eu tenha dito tudo isso? É muito cedo para fazer isso ainda? Porque eu sei que é delicado (delicado). Porque eu gosto de você. É legal que eu tenha dito tudo isso? Não é? Não é? Não é? Não é? É bacana que você esteja na minha cabeça? Não é? Não é? Não é? Não é? Porque eu sei que é delicado. (delicado). Não é? Não é? Não é? Não é? É legal que eu tenha dito tudo isso? Não é? Não é? Não é? Não é? É muito cedo para fazer isso ainda? Não é? Não é? Não é? Não é? Porque eu sei que é delicado. Delicado.